So, you have finally decided to expand into one of the most vibrant and potential economies of the world, that is, China. Congratulations! With the Chinese economy set to surpass America in 2020, entrepreneurs from all over the world, especially from the USA, Europe and Australia, are coming to China. With gross domestic product at purchasing power parity at almost $ 22 trillion (2016 figures), if you are constantly looking for new avenues for business growth, China is a place you wouldn’t like to miss. As a frugal entrepreneur we are pretty sure that before coming to China to expand your business you will like to do some preparations. Whether China is in uncharted territory for you or you have come to the country as a tourist or to visit some near and dear ones, the business scenario is totally different. Many laws and regulations need to be followed once you start a business in China. Many opportunities are there that the Chinese government provides to foreign investors, that you must find out if you don’t want to miss them. Below we have listed 10 things to take care of before or when you start a business in China as a foreigner. Once you start researching, you will find that, as far as foreign investments go, the sectors in China fall under the following categories: encouraged, restricted and prohibited. There are many sectors the government doesn’t allow foreign investment in. There are many sectors the government encourages foreign investment in. There are some restricted sectors for which you will need extra permissions to be able to do business in mainland China as a foreigner. It is advisable that you review the Catalogue of Sectors for Guidance of Foreign Investment before deciding which sectors will be a good investment for your business. Remember that China wants businesses that can generate lots of employment, so, these sectors are encouraged. Polluting industries are discouraged. Technology is encouraged as long as you abide by the domestic data laws. The Chinese government works in five-year plans. Check out the details of the five-year plans to know what sort of industries the Chinese government is encouraging foreign investment in. This doesn’t mean just business-related information. China is culturally and socially a different country than its Western counterparts. Most of the business decisions are taken through social interactions. Bureaucracy functions differently in China than in other countries. Personal connections matter a lot. It is advised that you interact with people who have already started business in China as foreigners – they will be able to share a wealth of information with you. Attend some trade shows in China. Develop some local contacts. Read books on China. Subscribe to trade magazines published in China. 3. What sort of business setup should you have in China? Above you briefly read that there are three types of businesses that you can set up in China, namely a representative office, a joint venture and a wholly foreign-owned enterprise (WFOE). All three types of businesses have their advantages and disadvantages and which type of business setup you want as a foreign investor in China depends on your long-term business goals. A “representative office” means that you just have a small branch in China and you carry on your business operations either from your home country or from another country. Many businesses used to offer this type of business for tax benefits, but these tax benefits have been removed since 2010. A joint venture in China means a form of foreign investment that strikes up a partnership between a foreign investor and a Chinese investor. Many foreign entrepreneurs prefer joint ventures because then they get an already-established infrastructure and all the needed clearances are easy to obtain. They can use the access and experience of the Chinese investors. 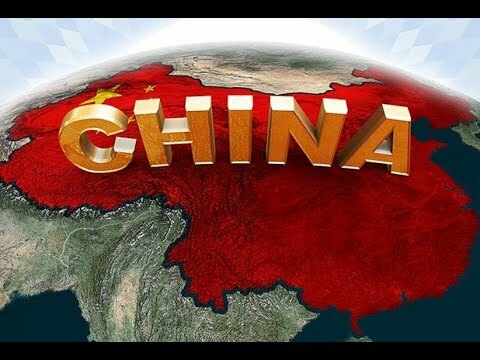 China also has free trade zones (FTZs). Mainly China has four free-trade zones right now, including Shanghai free-trade zone, Tianjin free-trade zone, Guangzhou free-trade zone and Fujian free-trade zone. There are many smaller free-trade zones too that you may like to explore. Just as the Chinese government has five-year business plans, it prefers that even businesses have them. You will need to submit your five-year business plan to the government to get approval and once you have obtained the government’s approval, you will have to operate your business within the guidelines of the five-year plan. While you’re working on your business plan it is advisable that you are constantly in touch with your local business consultant in China. Your business consultant will give you all the needed information such as which businesses are restricted, encouraged or prohibited. Go for a broad plan. Don’t hold yourself back just because you will be starting a business in China as a foreigner. Make a plan such that your company can operate freely. In case there are some things that cannot be done, you will anyway be notified by the appropriate government authorities and you can make changes accordingly. Wondering what sort of documents you may need to start a business in China as a foreigner? The WFOE documents can be accessed here. Collect, arrange and organize all possible documents that may come handy. Remember that sometimes you need more documents than are listed on the official websites. Here also your local business consulting agency (Business China, for example) will prove to be invaluable because the agency can tell you what documents are needed. In fact, when you collaborate with local business consulting agency, you can courier most of the documents so that the process can be started even before you arrive in China. China follows a “first to file” policy when it comes to trademarks and patented technology. So, don’t assume that since you have been using the technology or the trademark since the beginning, it will automatically be registered in your name in China. Whether it is your brand, your company name, or even your website, get them registered as soon as possible and in fact, involve your Chinese business consulting agency in this as soon as possible, so that they can set the ball rolling while you take care of other things. The Chinese have their own data laws. The instant messaging and social networking apps that the rest of the world uses, are not used in China, or used in moderation. For example, if you’re used to using google.com, in China you will be using Baidu. For instant messaging and social networking, people in China use WeChat. Instead of PayPal and other payment processing services, people in China use AliPay. Instead of Twitter, they use Weibo. Create profiles in all the mainstream Chinese apps and social networks. This is true for every country you go to. Although most of the accounting systems in China are being “internationalised”, there are some peculiarities that are only available in China. The labour protection laws are very strong in China. You need to have a written contract. If you don’t have a written contract and the employee has started working with you, after a month, you will have to pay the employee twice his or her monthly salary. The company has to pay the mandatory welfare and social security payments for every employee including medical, unemployment, pension, injury and maternity. You may like to read Understanding China’s accounting and tax system for setting up a business in China. Why is this important? The sort of information and the sort of access to local resources that a local business consulting service in China can provide you, you cannot get it without having lived many years doing business in China. That sort of experience can only be obtained when working in the trenches and solving real-world problems. For example, if you want to set up a business in China as a foreigner and if you partner with us for your business consulting services we can provide you a broad spectrum of support services like getting your company registered, getting all the needed clearances, getting your licenses, arranging local workforce, providing logistic service, helping you set up your business, helping you acquaint yourself with the local work culture, providing you professionally trained and reliable employees, and helping you wade through bureaucratic complexities. As they say, luck is when opportunity meets preparation. The more prepared you are, the more you will be able to leverage the opportunities that China provides you. Want to know what all opportunities await you in China and how our local business consulting can help you make the transition a breeze? Do contact us and we will provide you all the information that you need.